1. Get the children involved. Instead of trying to tackle cleaning tasks when the children are not around, get them involved! What better way to teach responsibility and get a little help doing a few tasks. Keep in mind that children may not do the cleaning at adult standards, but having them included builds a sense of responsibility and makes cleaning a family activity. 2. Be realistic. Perhaps lowering your cleaning standards a bit will help. Accepting that your home will not be pristine 100% of the time could alleviate some of the stress associated with cleaning. Set realistic goals for how “well-kept” you expect your home to be on a daily basis. 3. Multi-task as much as possible. Clean as you cook. Have a load of laundry pre-set to finish when you get home. Doubling up on tasks can save a significant amount of time. 4. Get some help. If your budget will allow, hire some professional help. Having professional cleaning help even on a monthly or bi-weekly basis can free up valuable time to do other things. Or, use a meal-prepping service to help with a few meals here and there to create less clean-up work. 5. Get organized. Many will find that the more organized things are the better one can manage time. Spend a few days organizing closets and pantries for efficiency. 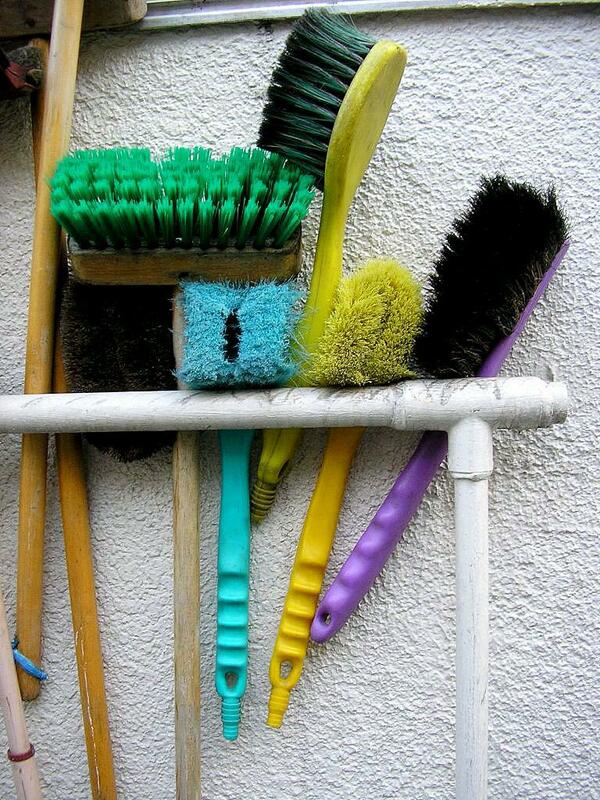 Investing the time to de-clutter and get organized can save significant cleaning time on a daily basis. 6. Do a little each day. Rather than letting all of the cleaning tasks “pile up”, clean a little each day. Make a schedule of tasks and then divide them up over the course of the week. Doing so will make cleaning seem less monumental of a task.